Everything on my body, including my eyebrows, still aches from moving. Instead of the usual back and leg problems, my hands caught the most hell thanks to the speed-shovelling technique I used to get vehicles free from the snow and ice. My hands don’t just ache but they snap, crackle and pop enough to fool people into thinking that Bobby Badfingers is throwing a gig in the same room. I keep stretching the fingers and that is probably why they’re getting better. I shoveled some snow today and the pain came right back for a while. I may have just returned to the internet last week, but I’ll have to stay low-profile for a while and let my hands heal properly heal. From the moment I got into making things for M.U.G.E.N. (that customizable fighting game that people are now making random-assed videos from and poppin’ it on the YouTube) I had a mental list of things that I’ve always wanted to make or recreate in it. 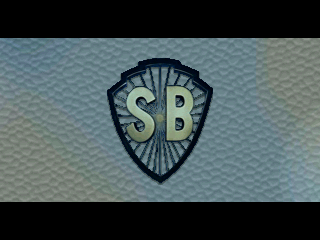 I finally finished one yesterday: the Shaw Brothers Studio introduction. The logos and text were made with screenshots of the Celestial/Dragon Dynasty DVDs but the rest comes from my pathetic attempt to recreate the graphics. It’s not much, but something about having that kick off a fighting game that makes me smile. If you have M.U.G.E.N. and want to give it a try, download the intro here and read the instructions to learn how to install it. If you don’t have M.U.G.E.N. and want to learn more about it, go here.